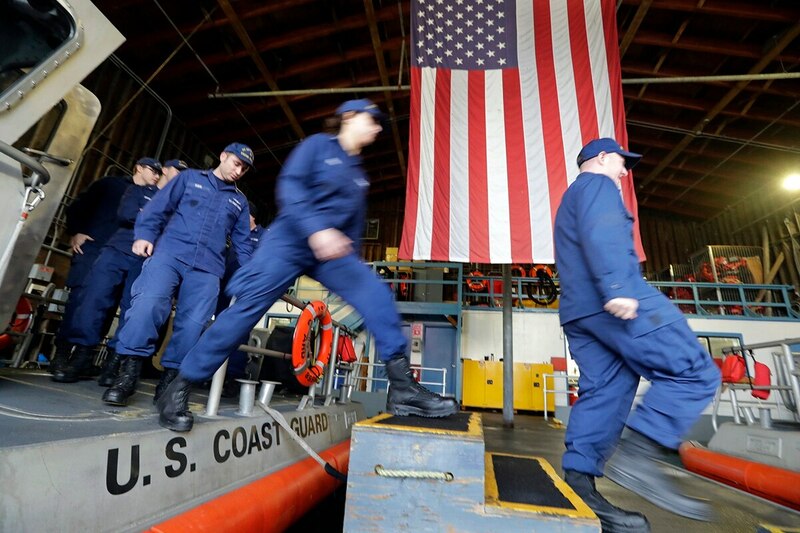 SAN ANTONIO — A military personnel insurer and financial services company has donated $15 million for interest-free loans to Coast Guard members during the partial U.S. government shutdown. A coalition of Coast Guard-related nonprofit groups has opened a pop-up food pantry at the U.S. Coast Guard Academy to help Coast Guard and academy workers affected by the partial government shutdown. Coast Guard personnel with dependents are eligible for interest-free loans up to $1,000. Service members without dependents are eligible for up to $750. Officials say the loans are meant to cover an estimated two weeks of shortfalls due to Coast Guard personnel not being paid during the government shutdown, which began Dec. 22. USAA, according to its website, offers insurance and other financial products to more than 12.8 million current and ex-members of the U.S. military and their families. Spouses of U.S. Coast Guard members said they appreciated a university in Rhode Island hosting a free dinner for their families Tuesday, as they tightened their budgets due to the partial federal government shutdown.